Here are the questions, answers, and explanations from our probe bet quiz. You should usually check-raise when you're at the top of your range, as this allows you to win the most amount of chips in the long run. With a vulnerable top pair that is not strong enough to check-raise for value, probing is the best option. 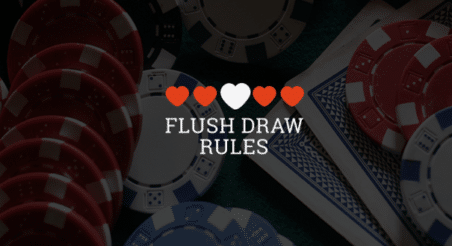 A flush draw with no showdown value is the perfect hand to probe with as a bluff. This medium strength hand is too weak to probe bet or check-raise for value, but it's also too strong to check-fold. Check-calling is thus the best option. An open-ended straight draw with no showdown value would usually be an easy probe hand, but having two overcards to middle pair makes check-calling or check-raising equally good choices. When you probe or check-call and hit a pair on the river, your hand is easily strong enough to check-call -- that's what makes this hand different from other open-enders (like 76). Your hand has some showdown value, but it isn’t drawing to a strong hand. So, it’s too weak to check-call, doesn’t have the properties needed to check-raise as a bluff (i.e., blockers and/or outs), and probing destroys its showdown value. Thus, check-folding is the best option. This medium strength hand is too weak to probe bet or check-raise for value, but its also too strong to check-fold. Check-calling is the best option by process of elimination. Here, again, you want to check-raise since you are at the top of your range. This allows you to win the most chips in the long run. As a positive side effect, you will be able to expand your overall defense range versus a bet because you can check-raise bluff some hands that you'd otherwise have to check-fold. Our hand is not strong enough to value-bet twice or check-raise for value. That said, it’s too high up in our range to fold because, by doing so, we would end up check-folding at a very exploitable rate. Thus the only remaining option is to check-call. Our opponent should be c-betting with most of his bluffs on this very dry flop, which means he likely has a showdown value-driven check back range. Also, we're going to have to check and fold often, here, because many of our hands have completely missed. For these reasons, we should check with some strong hands (like J7) to protect the rest of our checking range.